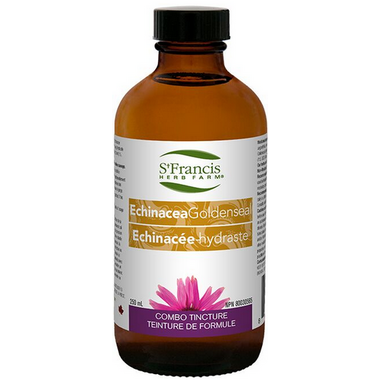 St. Francis Herb Farm Echinacea Goldenseal is a herbal tincture that is used for fighting a variety of infections, especially bacterial infections. It is excellent for treating sore throats and gastrointestinal infections. Dosage: Adults: Take 2 ml (60 drops) 3 times daily in a little water on an empty stomach. This is a great product produced by a great Canadian company!